To identify the most vulnerable and marginalized children of Romania and bring hope and faith back into their lives. To provide resources and help them, by God’s grace, to grow in harmony, overcome their difficulties, and pursue their true potential. To contribute to God’s world, where truth, goodness and beauty prevail; where a sense of responsibility, honour and self-sacrifice motivate our actions; where children grow in a nurturing environment and are provided a fair opportunity for proper development, so as to thrive and become valued members of society. In response to the needs of our brothers and sisters from Romania, the Saint Paraskeva Orthodox Charity (a registered 501(c)3 charity) with the Internal Revenue Service, Federal ID number: 272860674. The charity was established in 2010 and partners with the Romanian Orthodox Archdiocese in the Americas. 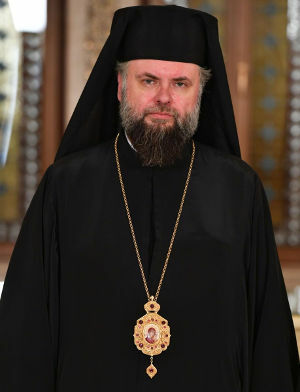 The Board of Directors is comprised of Orthodox Christians who have volunteered themselves for this role and are unified in the spirit of love and faith that governs the policies and operations of the Saint Paraskeva Orthodox Charity and oversees stewardship of the organization’s resources. “…for I was hungry and you gave me food, I was thirsty and you gave me drink, I was a stranger and you took me in, I was naked and you clothed me, I was sick and in prison and you visited me…For truly I saw to you, if you did it to one of the least of these my brothers, you did it to me.” Mathew 23: 35-36; 40.